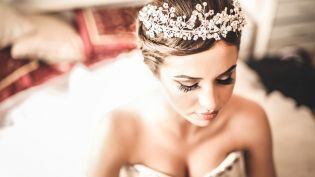 Unlike hairstyles for any other event, finding wedding hairstyles near Marlton comes with additional factors to consider. Ultimately, you will want to feel like a beautiful bride, and the hairstyle you pick can play a major role. Take a look at these dos and don’ts for choosing an appropriate wedding hairstyle. The most important thing to do is to pick a style you like. Your bridal hairstyle should be a style that makes you feel pretty and comfortable. If you have never been a fan of teased hair or hair extensions, your wedding day is probably not the time to start experimenting. You may have family members and bridesmaids offering their opinion on what hairstyle to go with, but you should pick something you want and will be happy with. Be wary of an excessively trendy hairstyle. While it may be in vogue at the time of your wedding, you may regret it when looking back at your wedding photos. A classic up-do or flowing curls are styles that will never go out of fashion and will photograph great. Current trends of braids along the hairline will not photograph as well and may not always be in style. Do consider the weather and other factors that might impact your hairstyle on the day of your wedding. If you are getting married in the summer or in a place that is humid and hot, wearing your hair down may cause a hair disaster. Humidity and heat are not conducive to keeping hair straight or holding luxurious curls. Absolutely schedule a hair trial with your stylist before the wedding. If you have a style in mind that looks great in a magazine, definitely have a trial appointment. If it turns out that you don’t like it as much as you had pictured, you and your stylist can work together to find what is right for you. Don’t be afraid to add hair accessories to your wedding hairstyle. Accents such as a headband or clip can add a nice finishing touch.